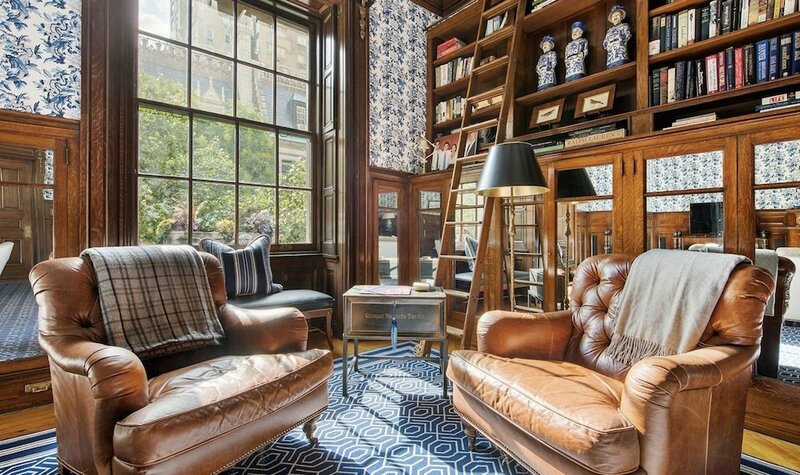 A 19th century renovated co-op on the most coveted street in the East 70s has just popped up on the market, asking $3.95 million. 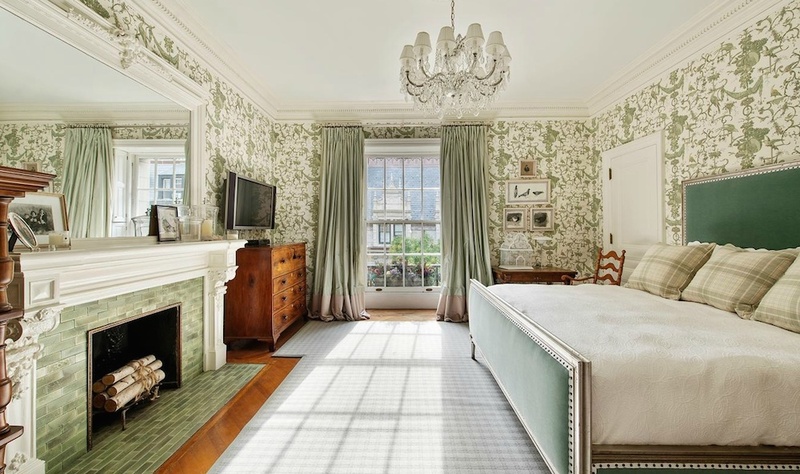 This carefully restored apartment at 5 East 75th Street definitely has some dizzying wallpaper and way too many mirrors, but that’s all overshadowed by its gorgeous original details and magnificent views. 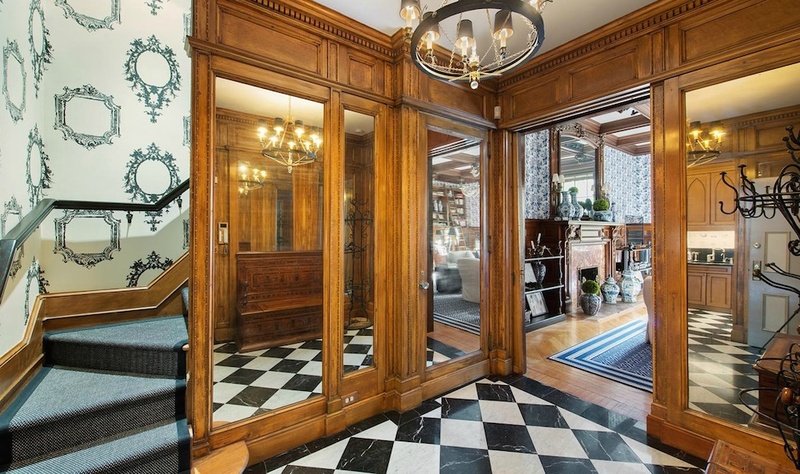 The building’s elevator takes you straight to the unit, where you’re met with a mirrored foyer with checkered marble floors and dental oak molding. 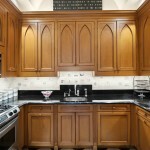 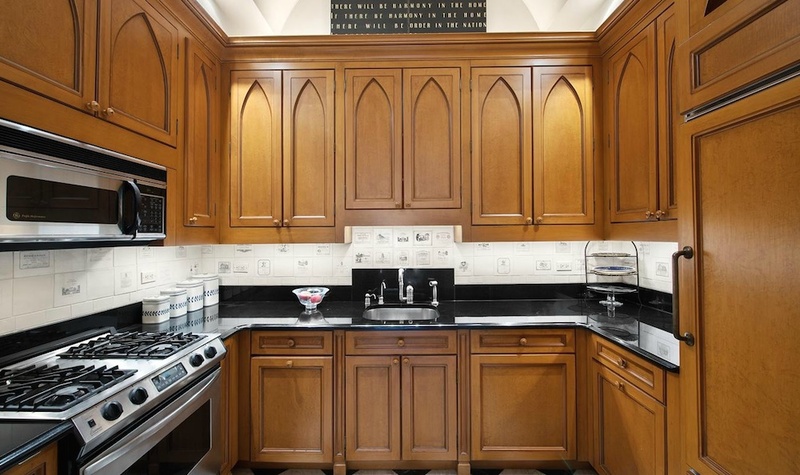 Off the foyer is a top-of-the-line kitchen with cabinets that might put you in a religious mood. 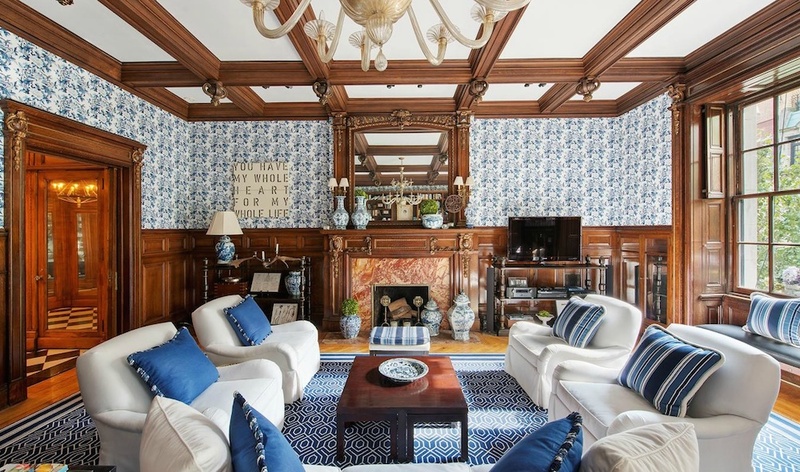 However, the other side of the foyer is an enormous great room with carved wood-panel walls leading up to soaring, twelve-foot, authentic carved beam ceilings. 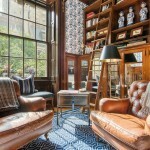 The exquisite millwork extends throughout the room, to its wood-burning fireplace and its floor-to-ceiling cabinetry, which has bookshelves that are accessible by a library ladder. 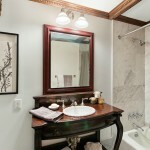 Upstairs, the private sleeping quarters consist of a master suite with wood-burning fireplace, and an attached second bedroom with two spacious built-out cedar closets. 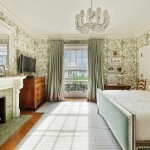 Both rooms have picturesque “Parisian” style views of the copper rooftops and trees of this elegant block. 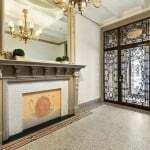 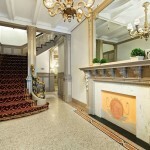 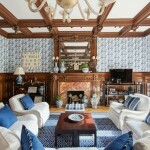 5 East 75th Street is a historical limestone mansion steps from Fifth Avenue. 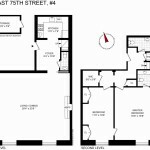 The apartment is conveniently located a stones throw away from Central Park, with the Metropolitan Museum of Art just blocks away.